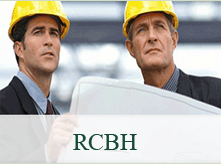 ON June 22 RCBH President Federico Grazioli and the General Director for Road Infrasctructure, Barbara Marinali, signed a Memorandum of Understanding whereby RCBH is given the task of accrediting the bodies which control the conformity of suitability for the use of inter-operable components of highway pay-toll systems throughout Europe as foreseen by Decision 2009/750/CE. On June 23 an agreement was signed by Mr. Grazioli, RCBH President, with the Ministry of Economic Development and the Ministry of Labour and Social Policy , both represented by their General Directors, Gianfrancesco Vecchio and Giuseppe Umberto Mastropietro respectively. 4. Directive 1989/686/CEE - individual protection regulations. On the basis of the agreements and protocols for the certification bodies this constitutes an obligatory requirement for the issue of authorisation by the competent ministries and subsequent notification to the European Commission by the Ministry of Economic Development. An objective of the agreements is to guarantee the good functioning of the conformity assessment system in the Ministry's areas of competence in order to contribute towards the free movement of goods in Europe of products which comply with the requirements of the Directives which are intended to improve the protection of public interests. 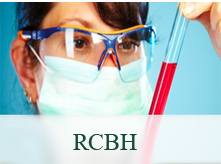 The agreement and the protocol confirm and regulate a role which was given to RCBH in the law D.Lgs n. 54 of April 11, 2011 for the assessment of certification bodies against the relevant EU Directives. 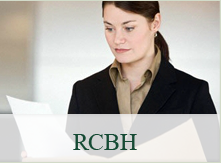 This increases RCBH 's role in the mandatory sector as well as the number of sectors legally obliged to operate under accreditation.